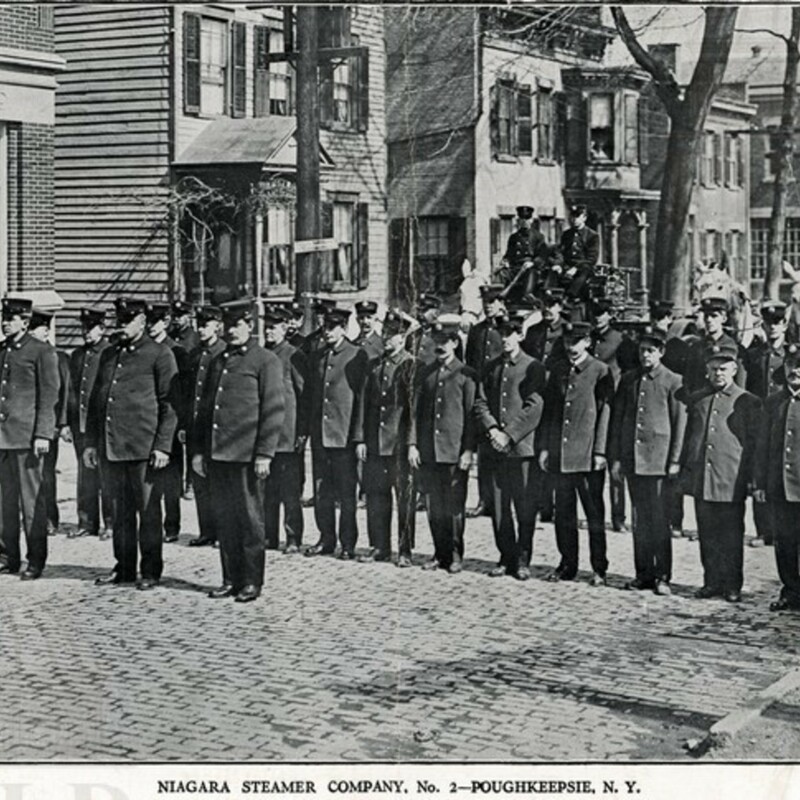 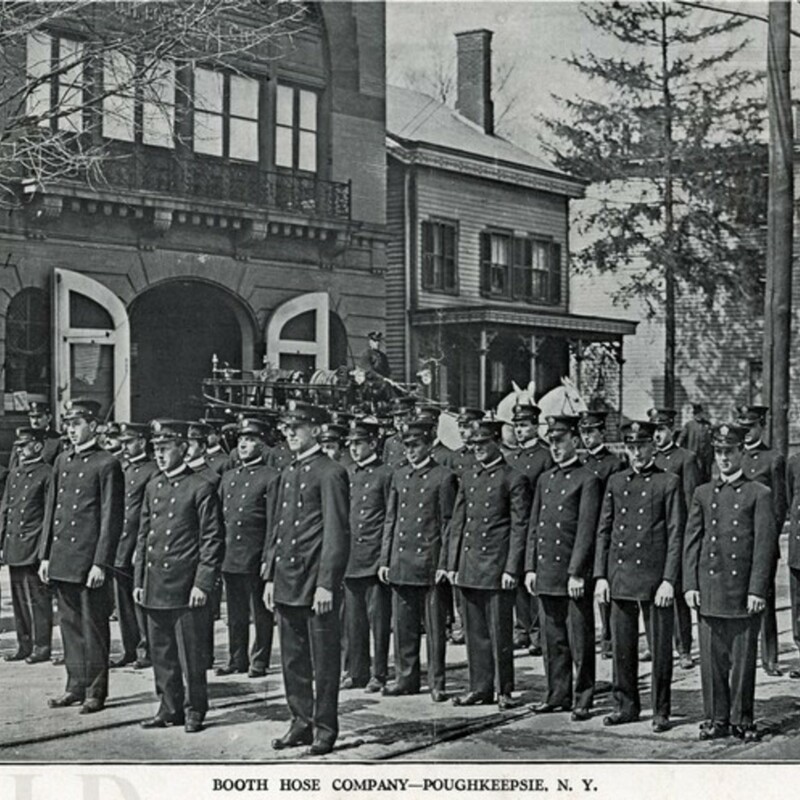 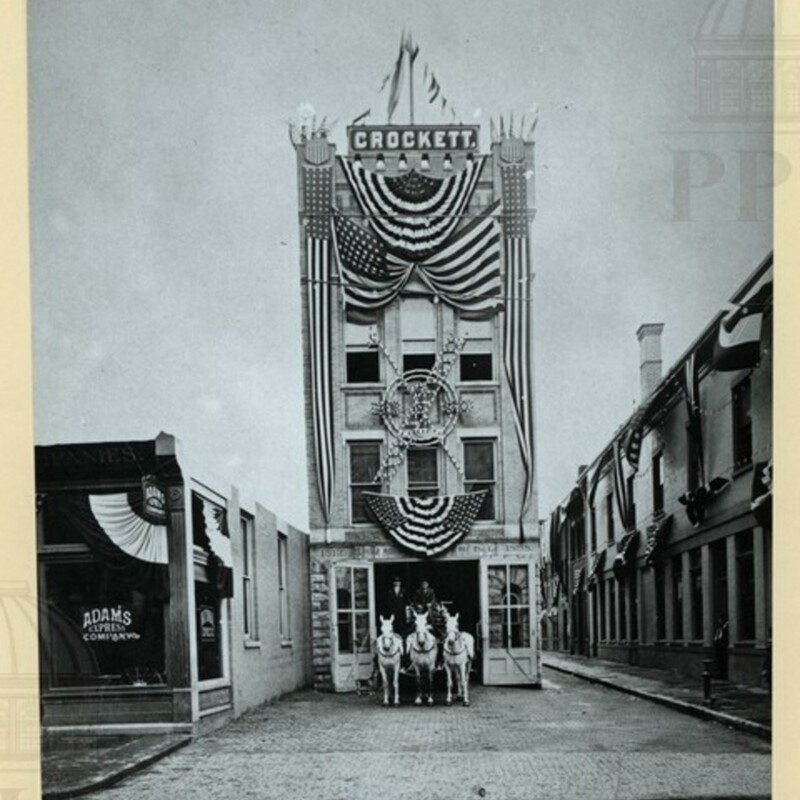 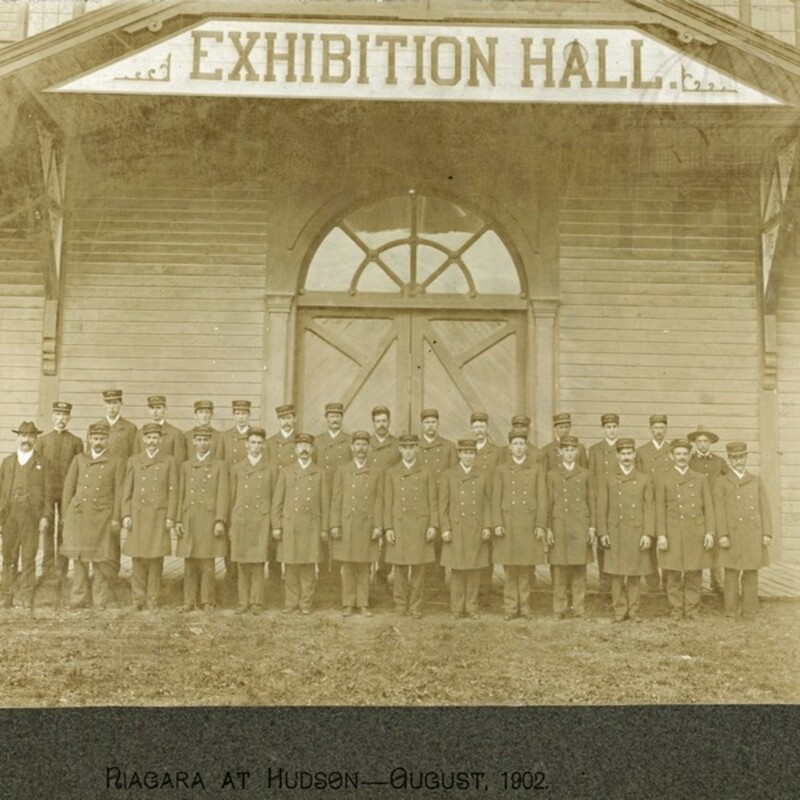 Historical photos of the police, soldiers & firefighters of Poughkeepsie. 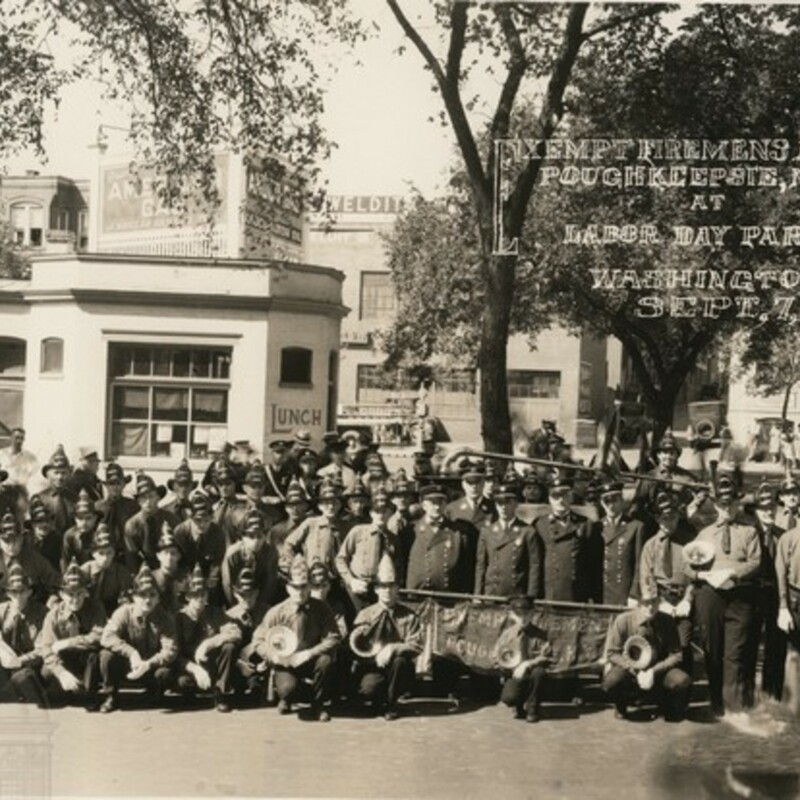 Mammoth Fireman's National Labor Day Parade; won prizes for Company that travelled the largest distance and largest company in line. 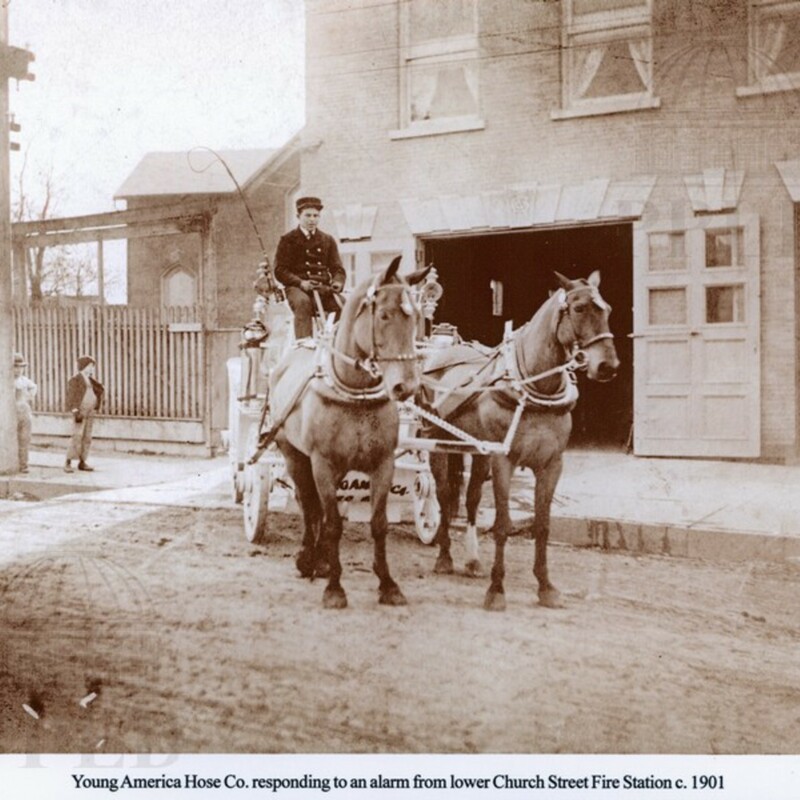 The company is pictured in with their horse drawn fire trucks in front of their fire house. 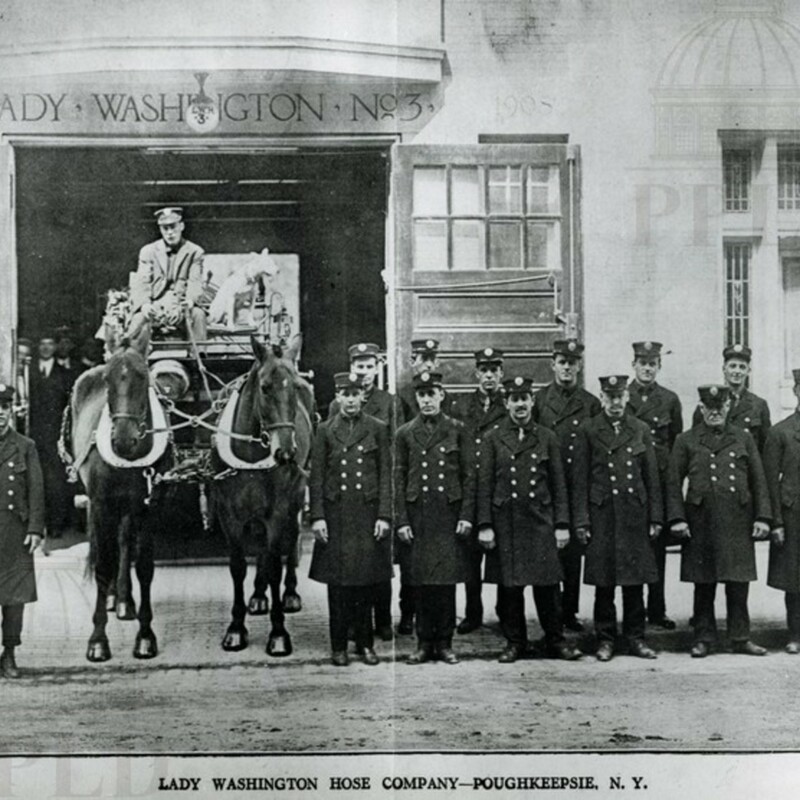 The company is pictured with their horse drawn fire truck in front of their fire house. 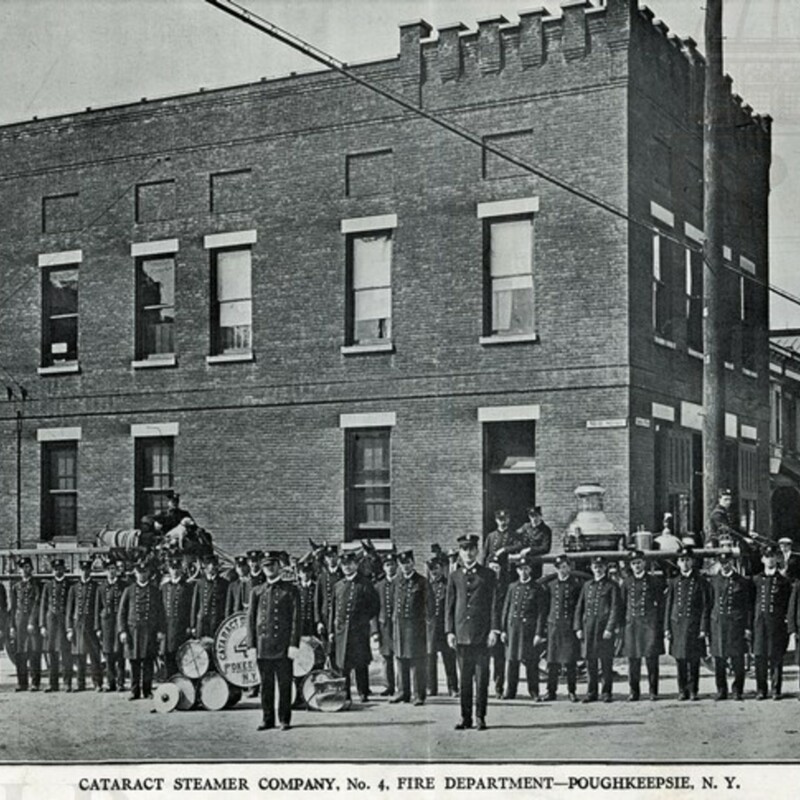 The company is pictured along with their marching instruments and their horse drawn fire truck in front of their house. 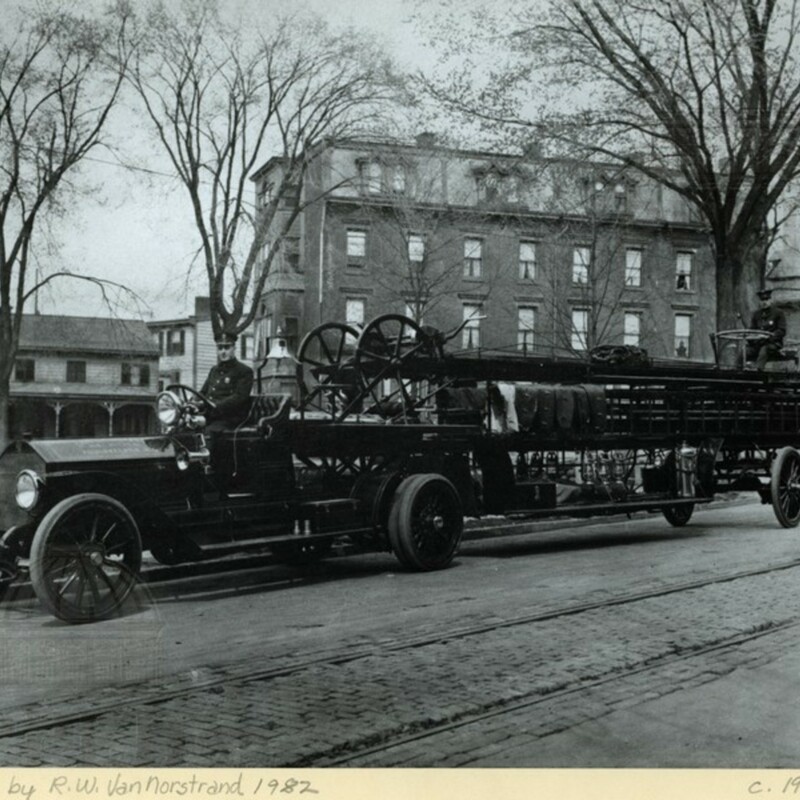 The company is pictured with their fire engine in front of their station. 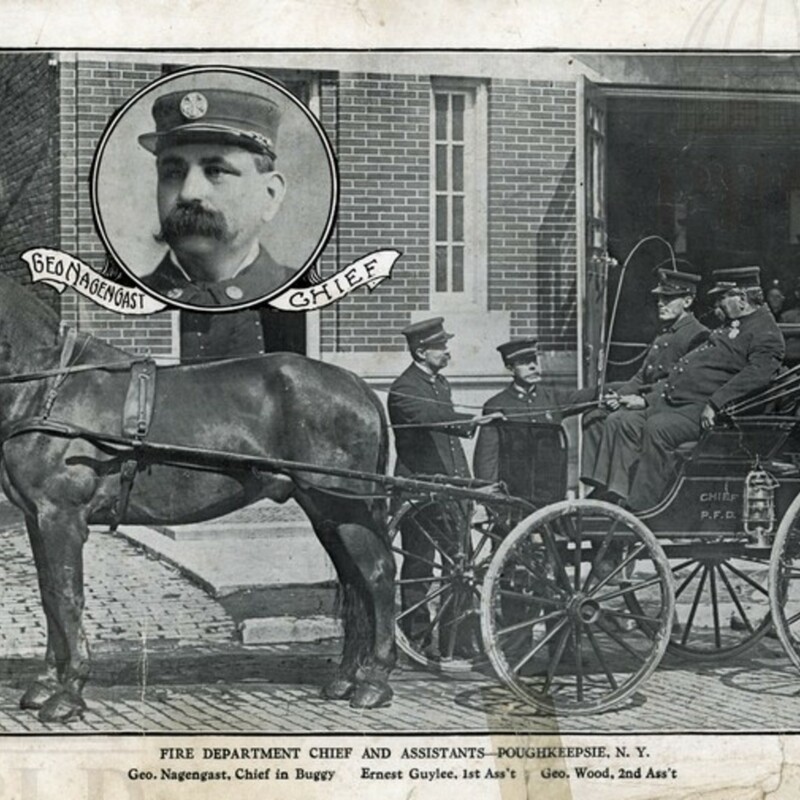 The company is pictured in front of their horse drawn fire truck & house. 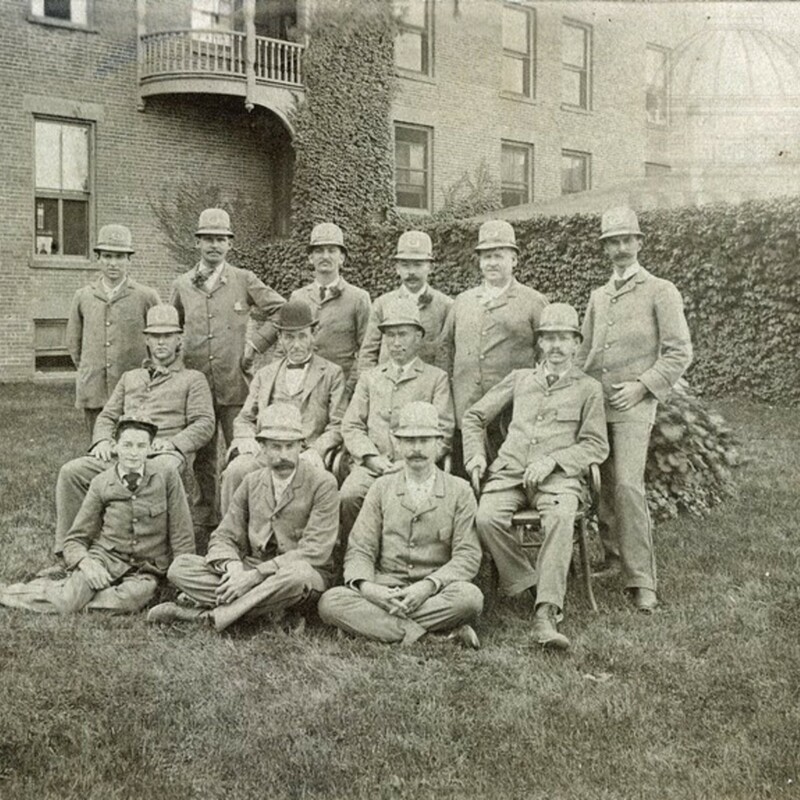 Unidentified group of firemen seated on a lawn. 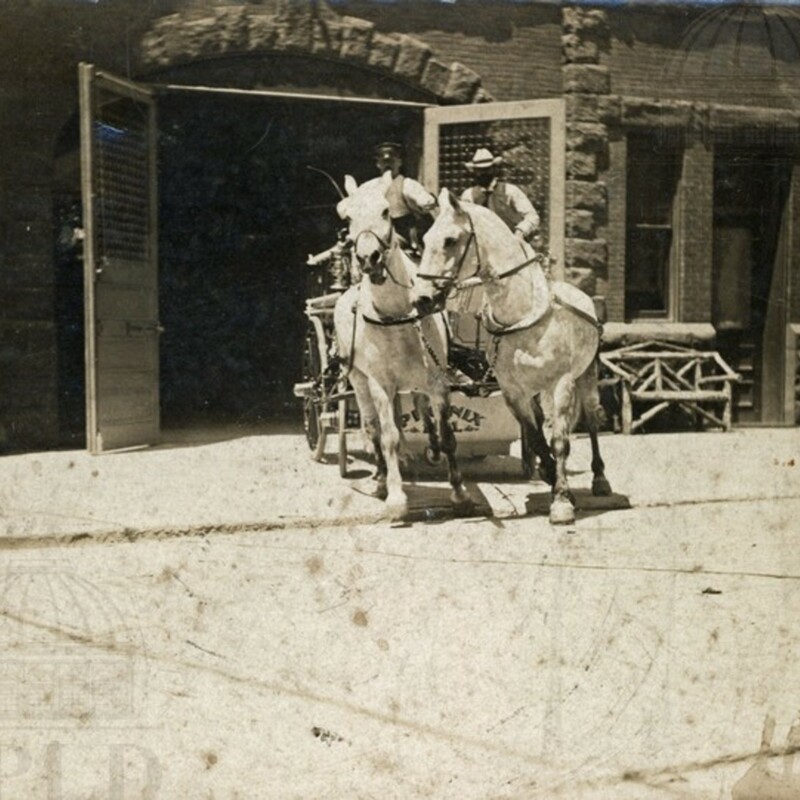 Horse drawn hose truck pictured exiting the fire house. 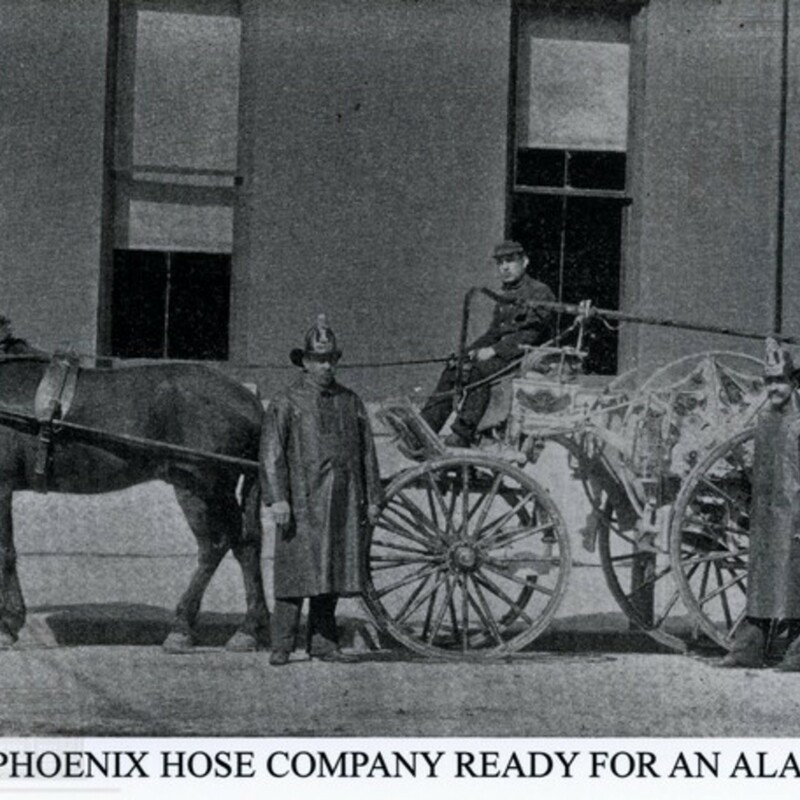 The company is pictured with their horse drawn hose truck in front of their fire house. 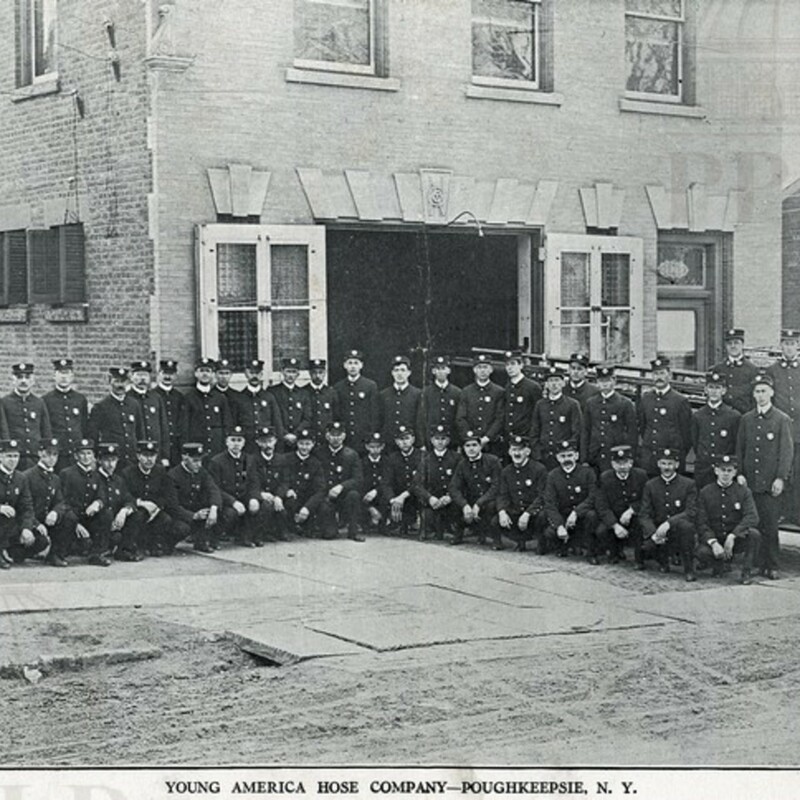 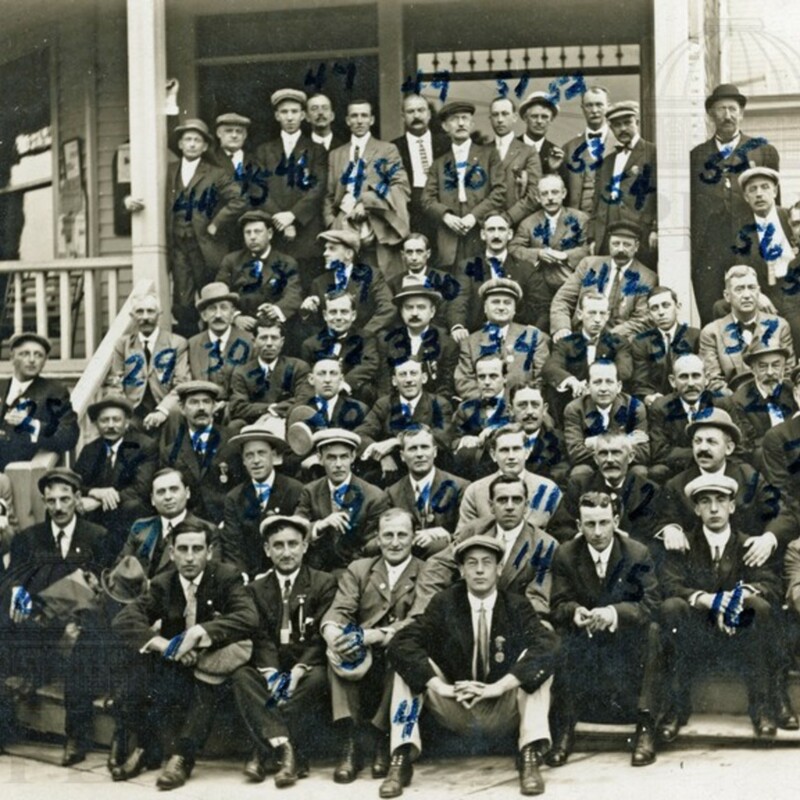 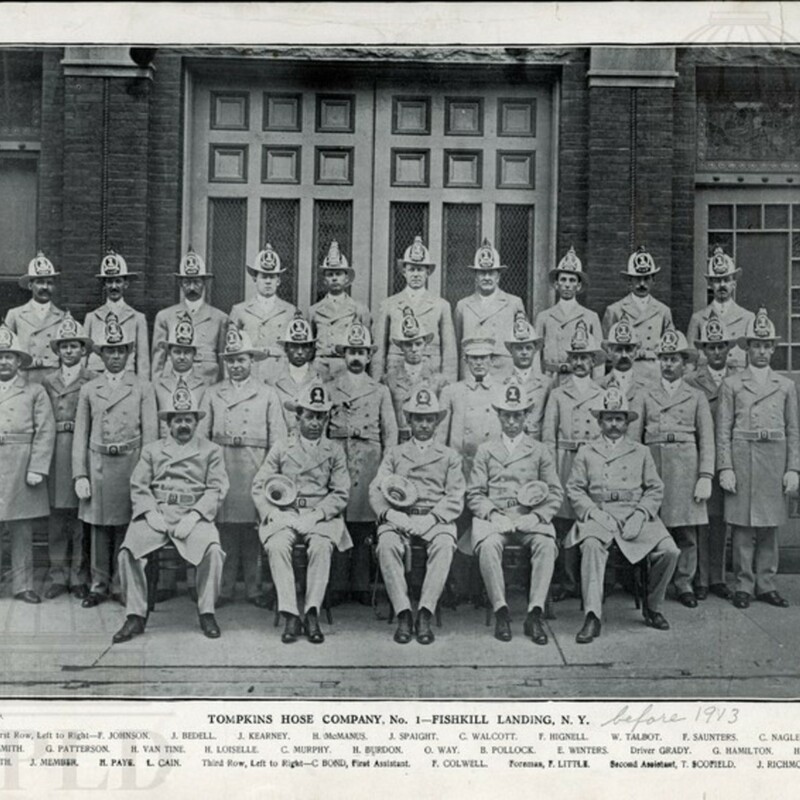 The company is pictured in front of their fire house individuals identified below. 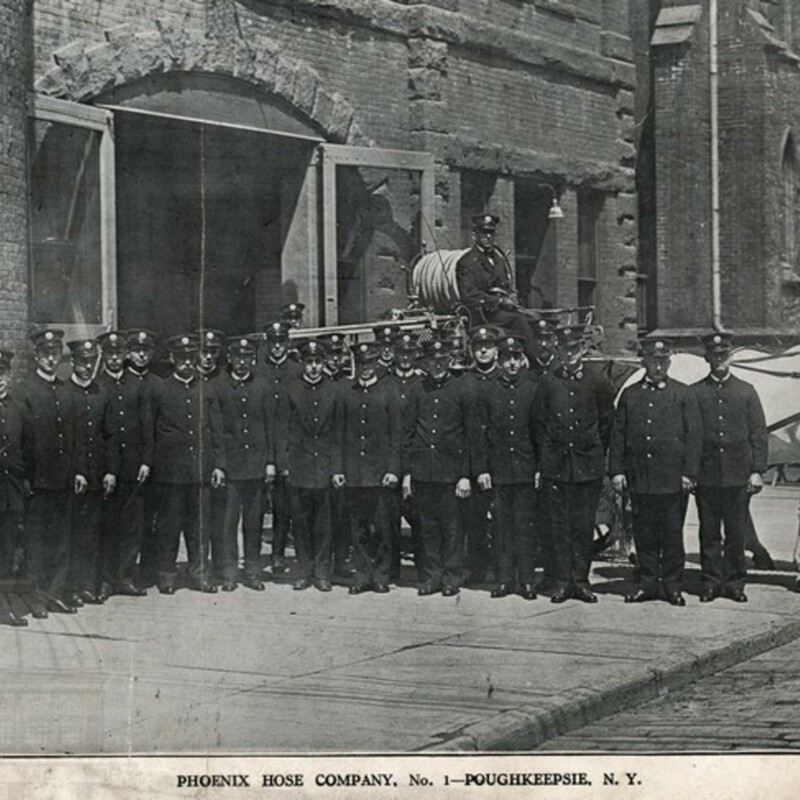 The Phoenix Hose Company fire house erected 1901. 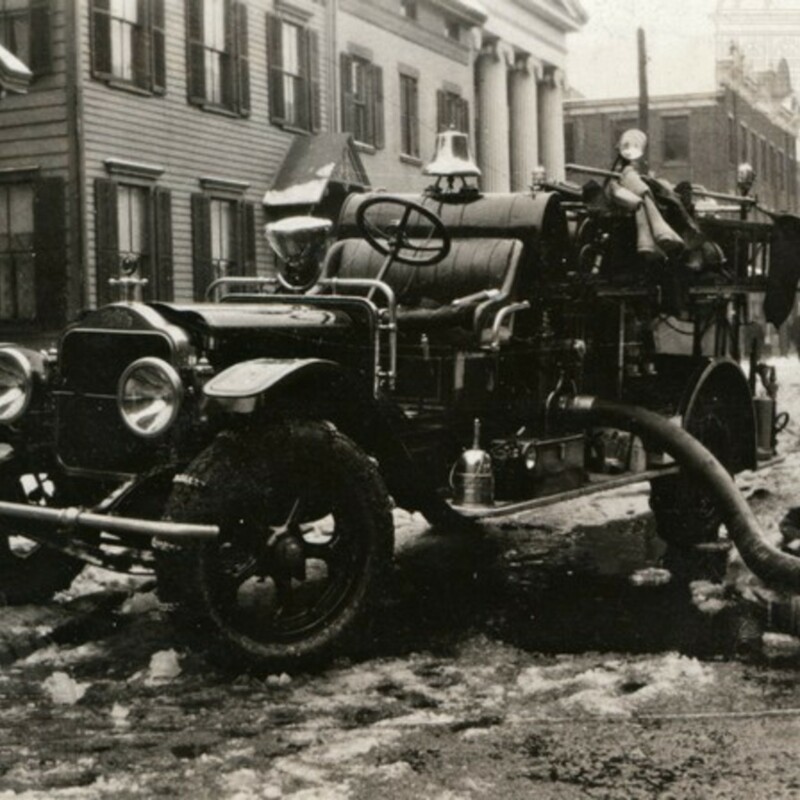 A fire engine with hose hooked up to a hydrant taken during the fire at the Schick Building. 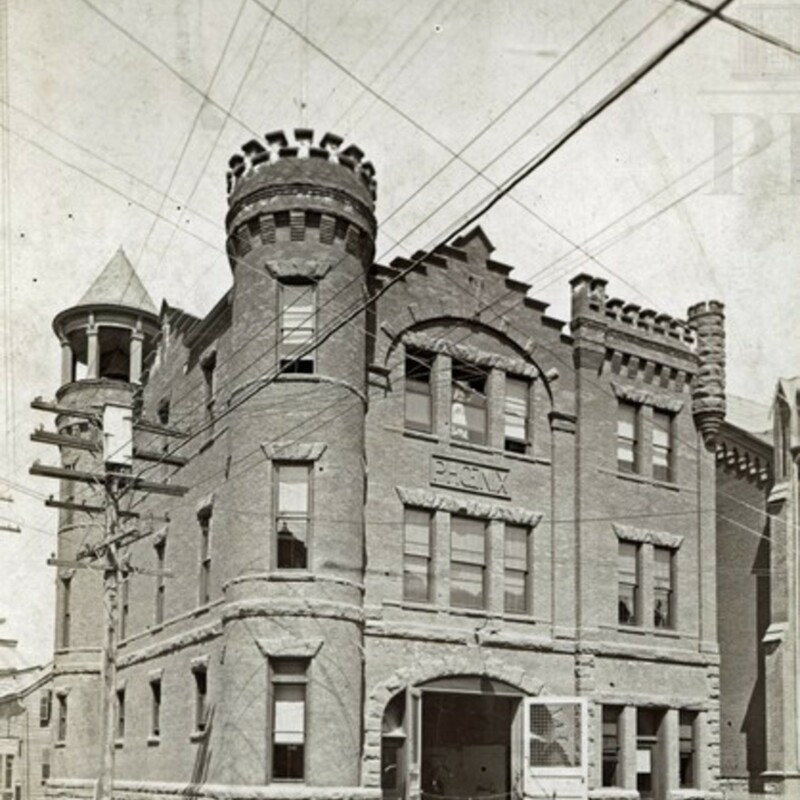 Image of the fire house on Main street decorated. 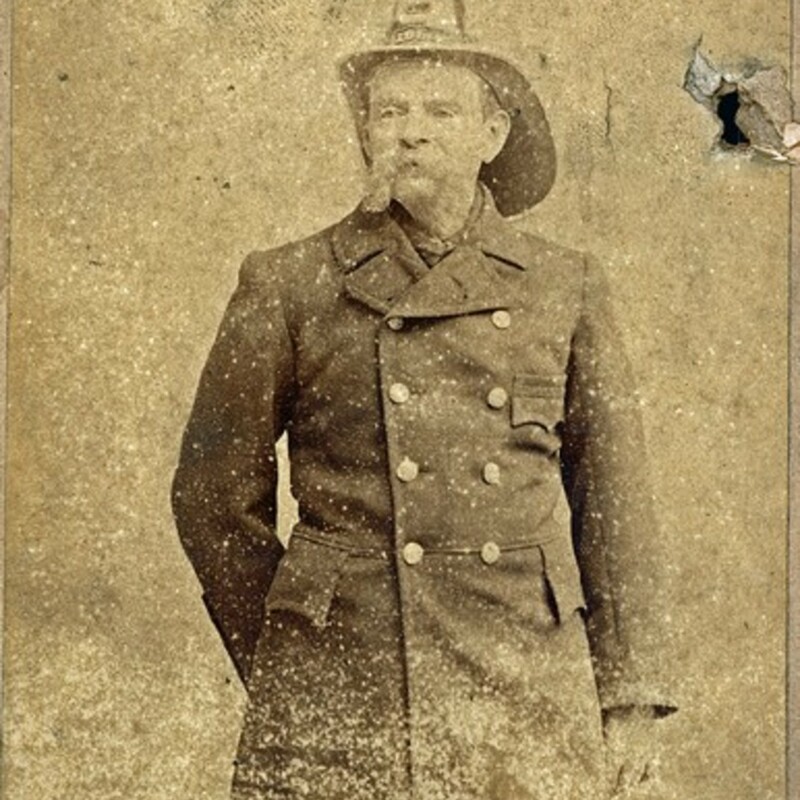 Dressed and ready for an alarm. 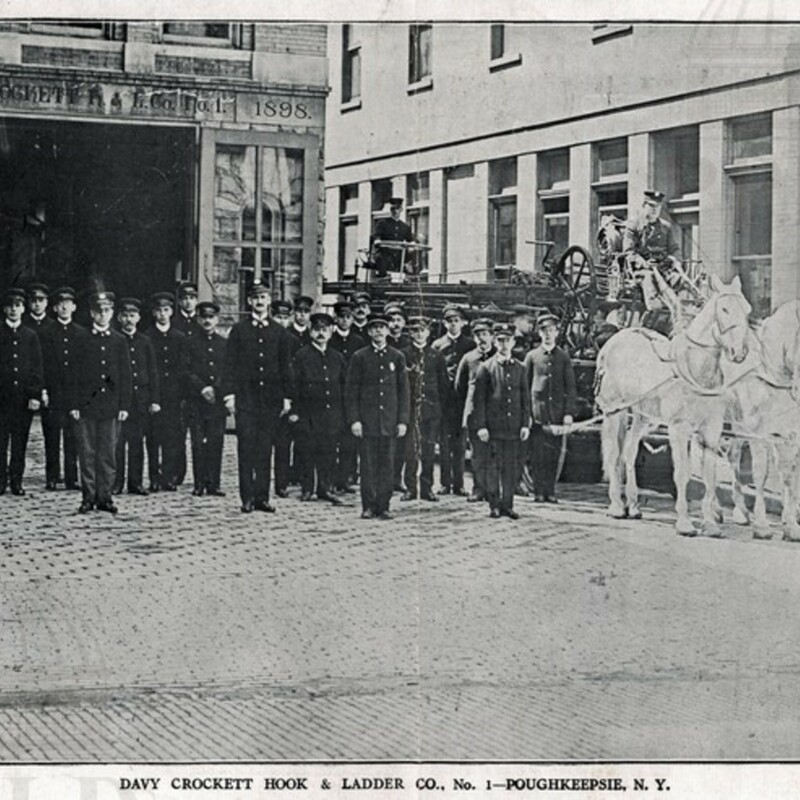 Hook & Ladder truck from Davy Crockett at Soldier's Fountain. 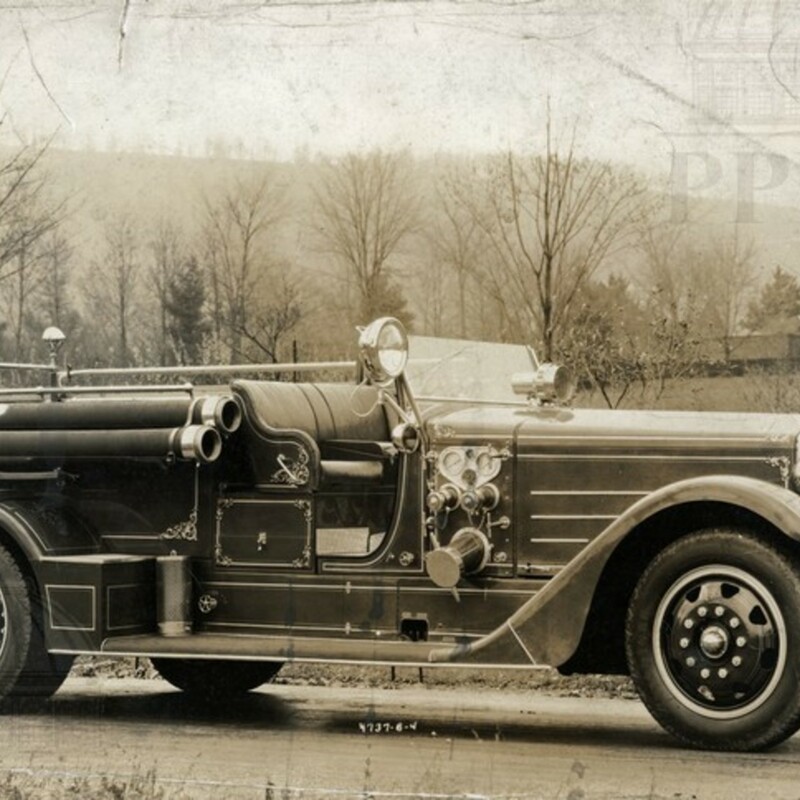 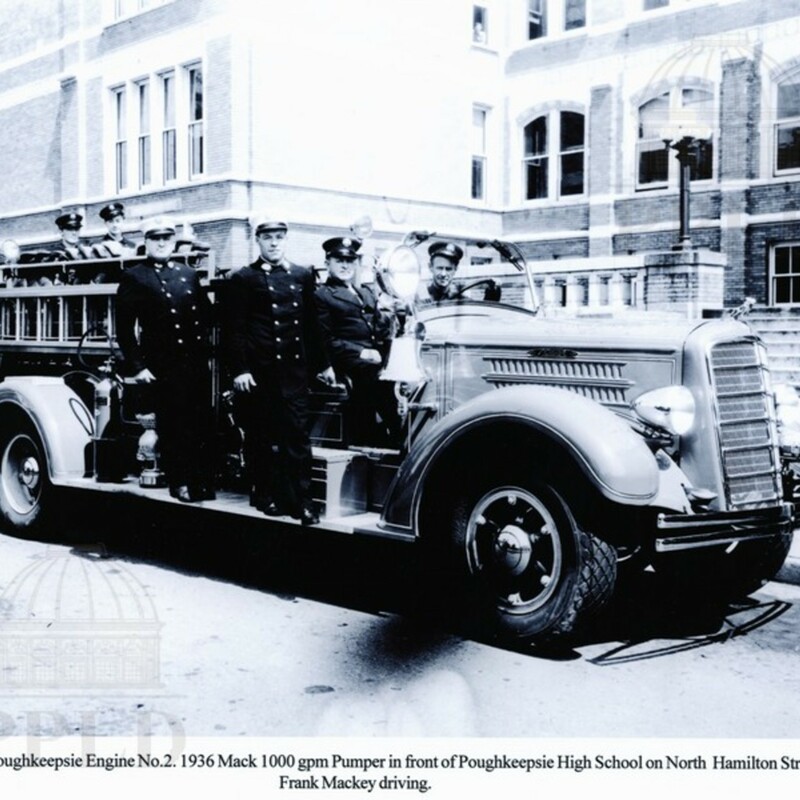 1936 Mack 1000 gpm Pumper in front of Poughkeepsie High School on North Hamilton St. Frank Mackey driving. 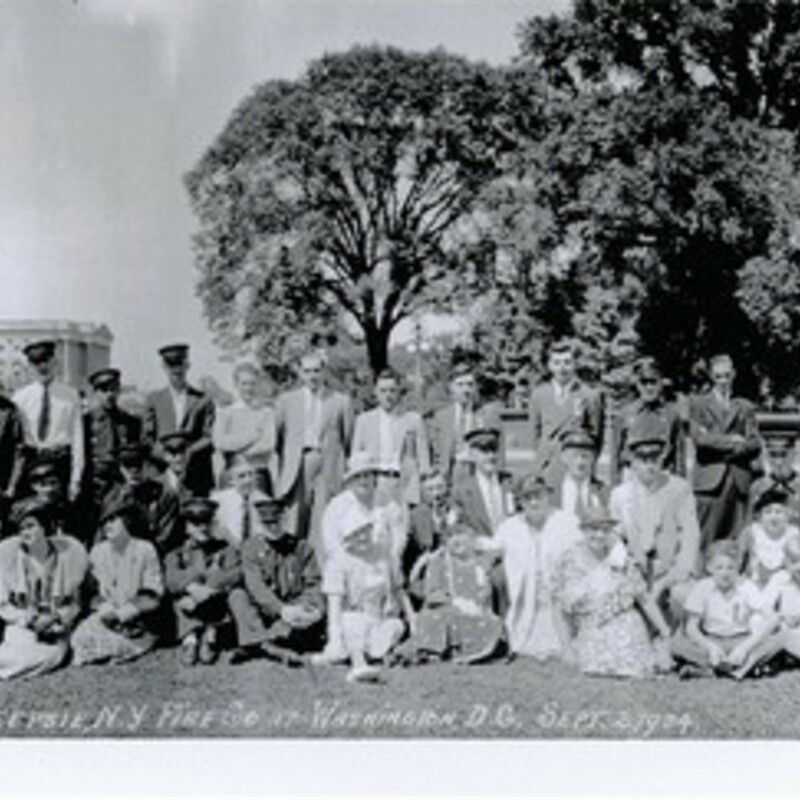 Group Photo in front of the United States Capitol building. 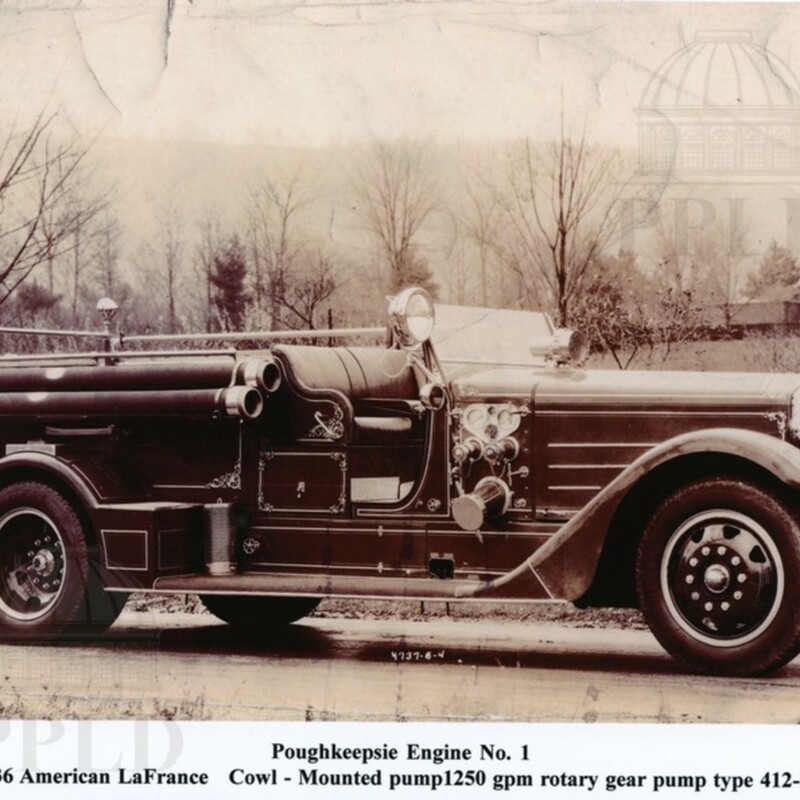 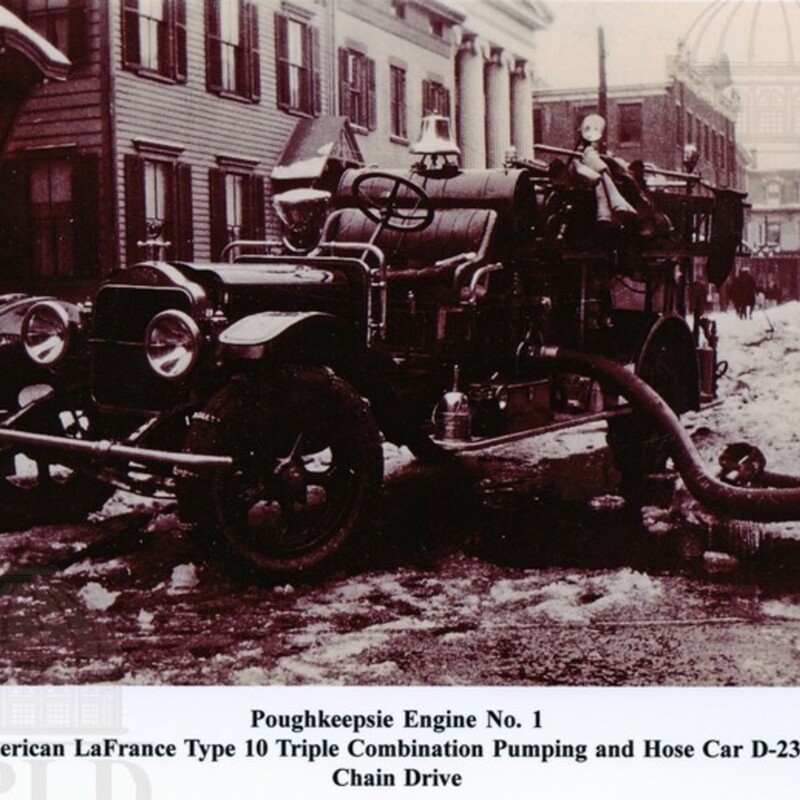 1911 American LaFrance Type 10 Triple Combination Pumping & Hose Car D-235 (MO6) Chain Drive; Cannon Street. 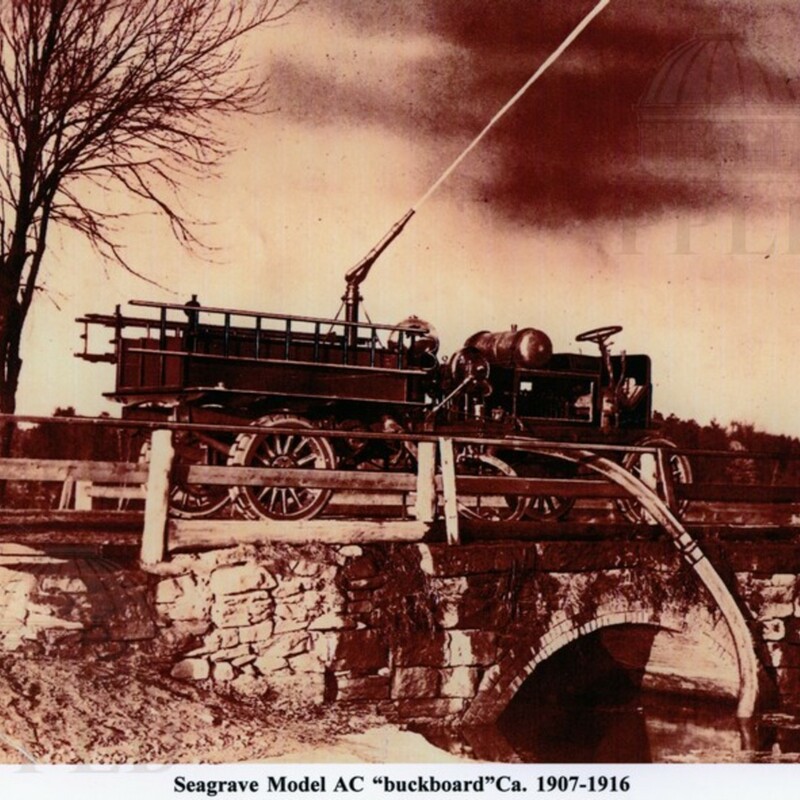 Seagrave Model AC "buckboard" pumper at Fallkill Creek. 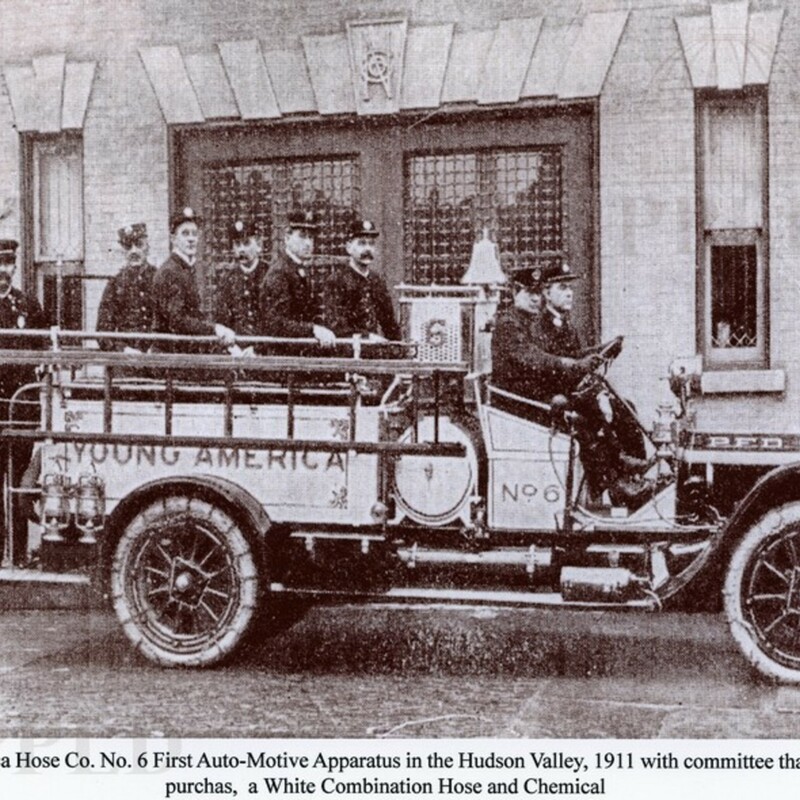 First automotive apparatus in the Hudson Valley, shown with committee that made the purchase. 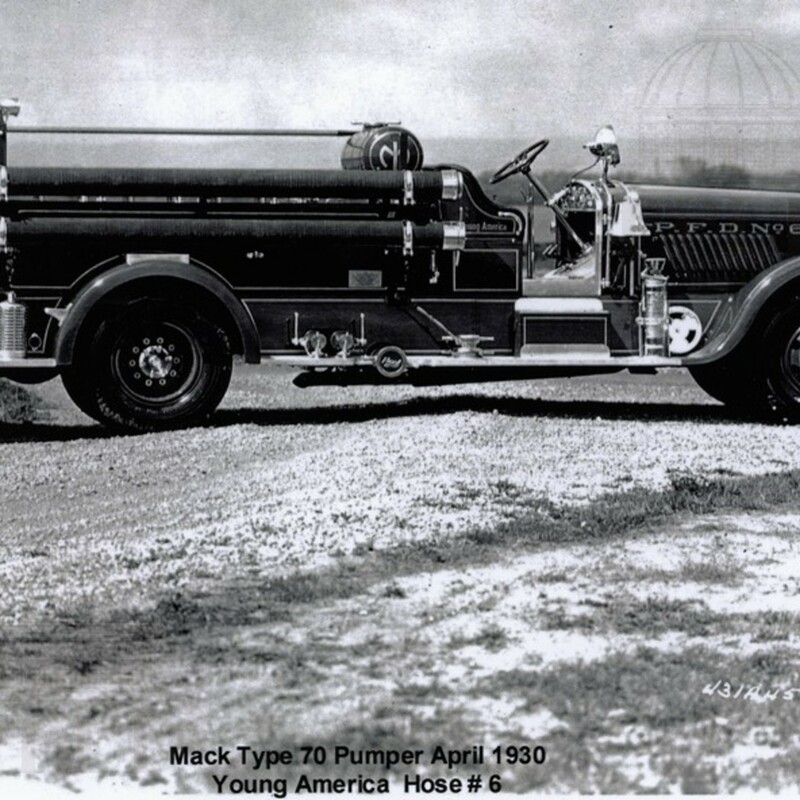 A white combination hose & chemical. 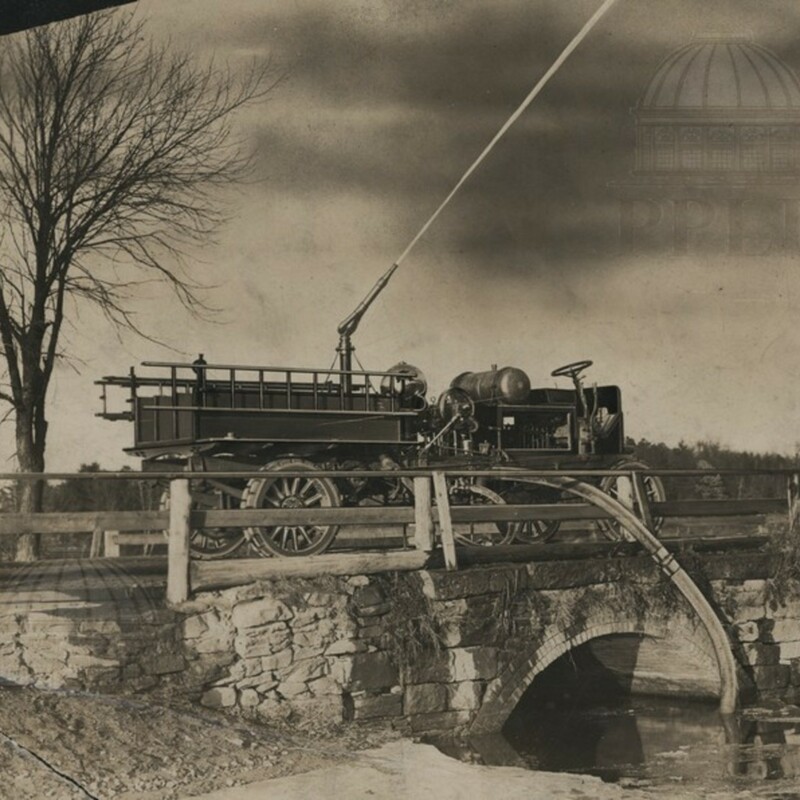 Horse drawn fire truck responding to an alarm from the lower Church Street Fire Station.